Mr. Rustam Abdusattorov, a livestock farmer in Jizzakh Region, Uzbekistan, struggles to provide enough fodder for his flock and has to purchase feed in the market. A seed isle of kochia and burnt swathes of Mr. Abdusattorov’s land. Forage kochia, also known as “alfalfa” of the desert, is a source of high-calorie feed for sheep, goats and camels round the year. After a four-hour drive south-westwards from Tashkent, Uzbekistan’s capital, we find ourselves surrounded by empty rolled hills in the intense summer sun in the Mugol village, Jizzakh Region. As we get off the main road and drive through a snake-shaped route made of crushed gravel stones, we arrive at a farmer’s fenced land, covered with sun-baked withered grass, mildly shaking in the breeze. “They are not dried out,” he assures us. “If you bend the stem, you will see how soft it is.” He introduces us to a forage crop called Kochia, better known as “alfalfa” of the desert, high-calorie feed for sheep, goats and camels around the year. Mr. Rustam Abdusattorov comes from a farming background: his father was a shepherd and his mother worked in the field, taking care of crops. As the youngest among six children, he watched family-owned sheep in nearby pastures surrounding his village, helping his father in the animal fattening business. The family used to buy skinny animals, fatten them through intensive grass feeding, and release them to the meat market. Pastures were rich in grass then. 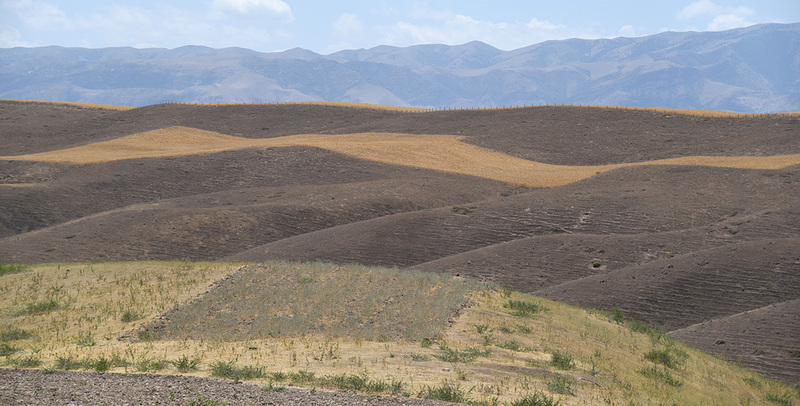 Alas, the situation has now changed; overgrazing, livestock mismanagement, unsustainable agricultural practices and climate change impact have induced the appearance of invasive non-palatable plants, and reduced rangeland productivity and ecosystem resilience, especially in the semi-desert foothill pastures, where large numbers of livestock have caused shortage of green fodder. 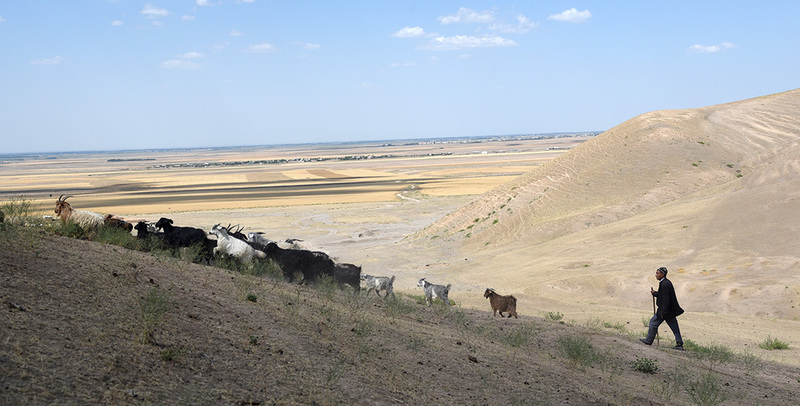 Rangelands in Uzbekistan occupy 23m ha, about 50 percent of the total area of the country, and provide food and shelter for more than 2m rural people. By some estimates, overgrazing alone accounts for 50 percent of the total degradation of pasturelands, followed by uprooting of trees and shrubs for fuel wood collection. In 2015 ICBA joined forces with the government of Uzbekistan, the United Nations Development Programme (UNDP) and the United States Agency for International Development (USAID) to start work on promoting best practices in land management within a project on reducing pressures on rangelands. Before cultivating seeds of highly productive, drought-resistant and salt-tolerant shrubs like Atriplex, forage kochia, sagebrush, saltbush, winterfat and esparcet in an area of 15 ha, several land stripes of 10 m in width and 2 km in length were created. After each plowed and seeded isle, 50 m of land was left with undisturbed soil. 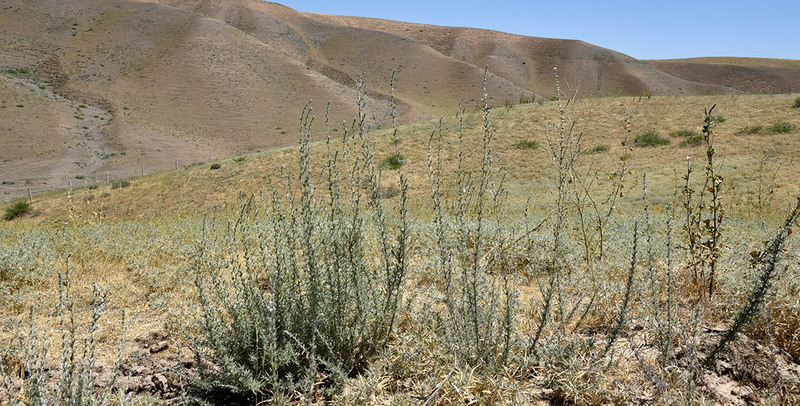 Atriplex seeds came from a new local variety developed and submitted to the State Varietal Commission in 2015 by the Institute of Karakul Sheep Breeding and Desert Ecology using ICBA germplasm. The cost of implementation of the technology for improving one hectare of pasture stands at roughly 100 USD; half of the amount is spent on soil treatment, and the other half is used for purchasing seeds and cultivation. During the first year of vegetation, the shrubs provide 150 kg of dry mass per ha, increasing in the second year to 220 kg/ha of dry mass and 40 kg/ha of seeds. By the third year, dry yield reaches 800 kg/ha and 100 kg/ha of seeds. When the seed isle technology is used, the seeds of plants spread to uncovered areas by the wind within three to five years, leading to rangeland restoration. With his flock of 300 sheep and 34 cattle, Mr. Abdusattorov struggles to provide enough fodder and has to purchase feed in the market. This year, due to lack of rain, he expects to spend over 7,500 USD for feed. This is a significant sum for a country where the average salary is below 200 USD. Another challenge is protecting his fields from shortsighted neighbors, who once burnt part of his lands because he refused to let their cattle in. Now they express interest in his activities. Nevertheless, the farmer keeps his hopes high for coming years. Once established, mixed perennial shrub plantations may be used as grazing forage for more than 20 years.